In the video game industry, developers and designers are rarely known and even more rarely seen. it is a rare and special case when one comes into the spotlight giving a name to a face. Game Producer Jade Raymond is one of those cases. Jade Raymond a video game producer in an industry dominated by men, she is truly an inspiration and she breaks the mold of what peole think a game developer is. 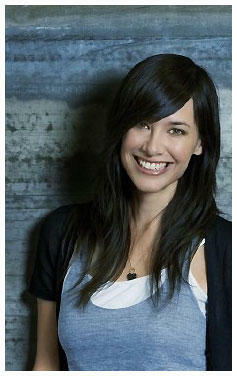 Jade Raymond was born in Montreal Canada. She attended the Marianopolis private college in Downtown Montreal and after spending one whole summer playing video games it became pretty clear for her that she had not only to play them, but to make them. As a teenager, she did night shifts working as a hospital switchboard operator. Part of her job involved calling "Code-Green" or "Code-Red" over the loud speaker and paging hospital staff when there were emergencies. She later studied computer science at the McGill University in Montreal, and after graduating college with a degree in, Jade's first job was programming games at Sony. While at Sony, she founded the first Research and Development group within Sony Online. Her team was responsible for leveraging Sony IP across multiple platforms and ultimately building Sony Online's most trafficked offerings: the entire suite of Jeopardy games played by over 3,000 simultaneous users on a daily basis. With a specialty in creating and designing online games, Jade began work at EA as a producer and went on to be the Producer behind one of EA's most popular online games to date, The Sims Online. She was directly responsible for all design and implementation of online game features and content for EA's highest revenue generating wholly owned property. After seven years of working in New York and San Francisco she moved back to Montreal, her hometown, to make games at the world acclaimed Ubisoft Montreal Studio. She is the producer of the game Assassins Creed, one of the most buzzed-about titles of 2007. As a video game producer, she is in charge of overseeing the development of the game regarding the creative and technical development of the game as well as maintaining schedules and budgets. She is also acting as a liaison between the development staff and the publisher or executive staff insuring the game will be delivered in time. Her biggest break came at the 2003 Game Developer Award's Ceremony where she was one of the presenters. After the ceremony, Victor Lucas, the co-host and executive producer of the popular G4 TechTV's show called The Electric Playground came up to her and asked her to join the crew along with Tommy Tallarico, Julie Stoffer and Geoff Keighley. Although she never thought that I would be doing tv, she said it's a lot of fun and liked her experience very much. Because of this, Jade is now known to game fans throughout the world. As a result, she also gets to help out other game designers and producers by interviewing them for the show, which allows fans to put faces with names. In August 2009 Jade left UbiSoft Montreal to join UbiSoft Toronto, to develop their new blockbuster videogame hit : Splinter Cell and left UbiSoft in October 2014 to Pursue New Opportunities. In July 2015 Jade join EA (Electronic Art) and opens EA studio in Montreal called "Motive Studio". Once a person behind the scenes, Jade Raymond has advanced to a level many in the gaming community never see. Her appearances during gaming conventions such as E3 and X06 have made her popular amongst gaming fans. And while she is enjoying the fame that come with being on television, she still finds time to do what she loves most: Make video games. She played Everquest 10 hours every day for three months when it came out. Her favorite video games of all time is Resident Evil 4, but liked alot Prince of Persia Sands of Time, Tekken 3, Zelda: Ocarina of Time, PaRappa the Rappa, Intelligent Cube and Incredible Crisis. She is currently playing Loco Roco on her PSP and has a weak spot for any game that involves monkeys, peculiar Japanese names or Zombies. + As she says herself, she's 5’7” but with shoes on probably 5’8” or 5’9”. + She is Eurasian: 25% Chinese, 25% Australian and 50% Canadian. + Some of Jade's fans consider themselves members of the "Jade Empire", after a video game of the same name. + Jade's favorite video game character is Donkey Kong. She particularly enjoys the Donkey Kong Country games found on the old Super Nintendo Entertainment System (SNES). + Her current favorite video game addiction is to Resident Evil 4. Plus, she was lucky enough to get to interview Capcom designer Nate Williams who worked on the game. + Jade's public on-line username she uses to post on G4's and on The Electric Playground's forums is "IBJade". It is rumored that she also uses this name on Xbox live. + Jade has lead the creation teams for best selling entertainment titles for IBM and Crayola. + She developed the first ever massively multi-user 3D shopping experience program for Microsoft. + After presenting at the 2003 Game Developer Award's Ceremony, Jade was asked by The Electric Playground's Co-host and executive producer Victor Lucas to be a Co-host on his show. + Jade's first work on television was Co-hosting on The Electric Playground. + Considers being the night shift switchboard operator at a local hospital as the worst job she has had. She found it too stressful to have people's well-being depend on her responsiveness that early in the morning. + Lead the team responsible for Sony Online's most trafficked offering, Jeopardy. Which was played by over 3,000 users simultaneously. + Founded the first Research and Development group within Sony Online. 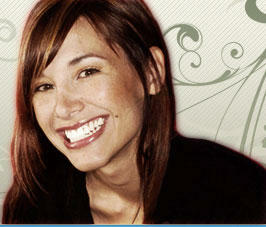 + Jade was the producer of the popular The Sims: Online video game. + Jade has a weak spot for video games that feature monkeys. + While filming an interview for a Star Wars game, kids were coming up asking for her autograph. Seeing her surrounded by Stormtroopers, fans thought she was Star Wars star Natalie Portman. + Along with her working on The Electric Playground, Jade makes games at video game developer Ubisoft. + Her first job after college was programming video games for Sony. + She once spent 10 hours each day for 3 months playing the game Everquest. + She lists Engadget, Bluesnews and Gamespot her favorite websites. + He top five bands/artists are: The Arcade Fire, The Killers, The Shins, anything produced by Dr. Dre or little Louis Vega, The Pixies. + Her five movies are: Hero, Evil Dead 2, The Magnificent Seven, Raiders of the Lost Ark, and The Professional. + Her top five TV shows are: Lost, Alias, 24, Aqua Teen Hunger Force, and Six Feet Under. + Her top five video games of all time are: Resident Evil 4, Prince of Persia Sands of Time, Intelligent Cube, Tekken 3, Incredible Crisis and Zelda: Ocarina of Time. + Jade was a presenter at the 2003 Game Developer Award's Ceremony.